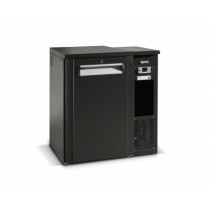 Gamko Beer Fridges are built to superb specification, designed to effectively and reliably chill large quantities of beer and other bottled drinks. Available in back bar or upright versions with 1, 2 and 3 door. Powerful, stylish and reliable, the Gamko range of back bar cooler allows you to effectively merchandise and display large quantities of bottled drinks - perfect for bars, pubs, hotels and more. Designed for constant commercial use, the coolers ensure bottles are kept at the perfect serving temperature - even when ambient temperatures reach as high as 45°C. 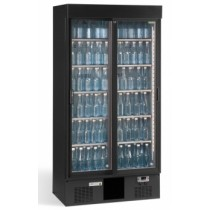 Maxiglass bottle coolers with glass doors are specially designed to present bottled drinks in an aesthetically pleasing manner, reaching the perfect temperature, and maintaining it. The beverage is always served at the correct temperature, and the taste and quality is guaranteed. 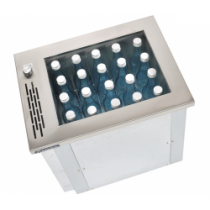 Gamko Bottle Coolers Single, Double & Triple Door, Hinged or Sliding at trade prices from MBS Wholesale- UK Supplier of Pub & Bar Supplies.